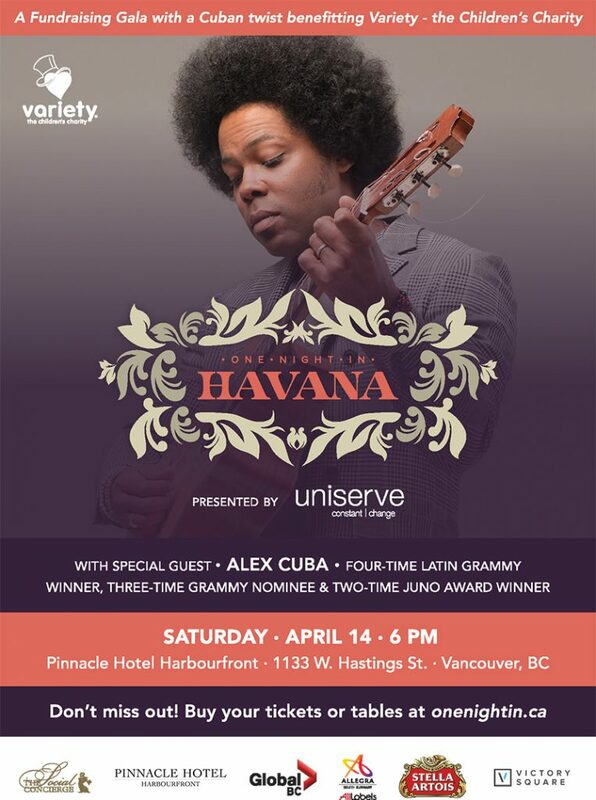 Uniserve is proud to support and be the official presenters of Variety – the Children’s Charity’s “One Night in Havana” Gala happening on Saturday, April 14, 2018 at the Pinnacle Hotel Harbourfront in Vancouver. Uniserve is a business all about connecting people, places and things … a business that has proudly been supporting BC for over 28 years with telecommunications, media and technology. We are really thrilled to be supporting Variety at this Gala event when we’ll also be launching our year-long fundraising project “Share the Love” engaging with over 13,000 residential and business customers and our own employees across the country. For more information about the gala, please visit onenightin.ca.